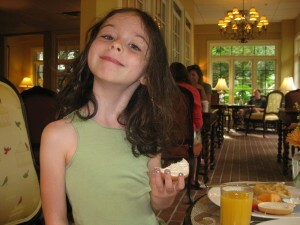 Laurel at the Bellmoor Hotel in Rehoboth (this is an old picture). She loves making, and is going to a technology magnet middle school currently. Her personal projects have included many works of art, cosplay, and many, many LEGO robots.